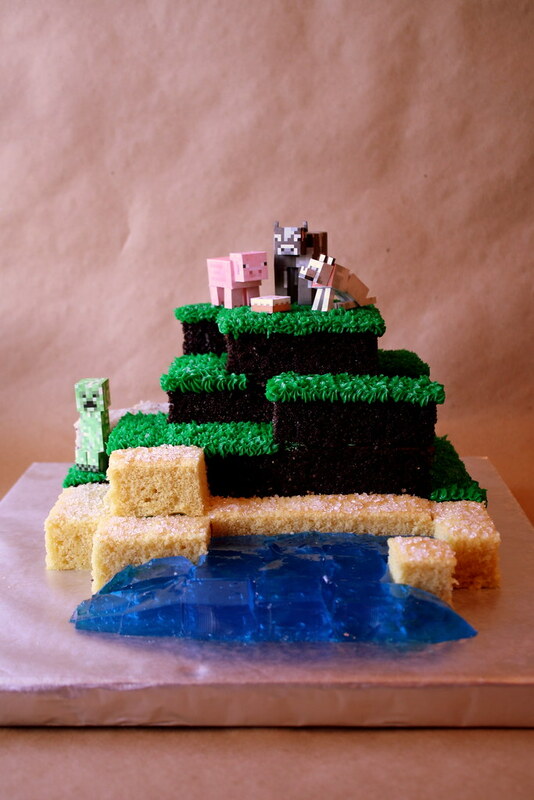 Blog Ideas for Throwing a Minecraft Birthday Party! In our previous post, we showed you how to use Riddle Me to set up a Minecraft scavenger hunt birthday party activity for your child’s birthday, complete with some suggestions for fun activities that they could do along the way. Now we’re back to take a look at some of the other aspects of a successful Minecraft birthday party. Food: Almost everyone who throws a Minecraft party enjoys serving foods that are also found in the game – or foods that look like things found in the game. When it comes to carrots and apples, this is a no-brainer. And you can get creative with things like “redstones” which do sort of look like giant strawberries. Twizzlers make great TNT and, of course, foil-wrapped chocolates make great “gold.” You can easily download printable food tents that will give you some good ideas for other things to serve at the table and/or check out Pinterest. And when it comes to beverages, what could be more fun than a brewing table like this one? Decorations: Popular Minecraft birthday party decorations include green balloons with creeper faces on them, made out of black construction paper, duct tape, or even simply drawn on with magic marker. This is so easy to do that it would also make a great craft activity for the kids themselves. Another easy backdrop is a giant creeper face made out of square green paper plates attached to a wall, perhaps behind the food table. Again, this is something the kids could do. You might also want to purchase a plastic tablecloth that looks like grass or tissue grass placemats. Now this baker crafted those paper figures herself but if you want, you can purchase small toys on Amazon. They look pretty much exactly like those paper versions but are sturdier and could be gifted to the birthday kid after the party. Here is another variation on that particular cake. And there you have it. 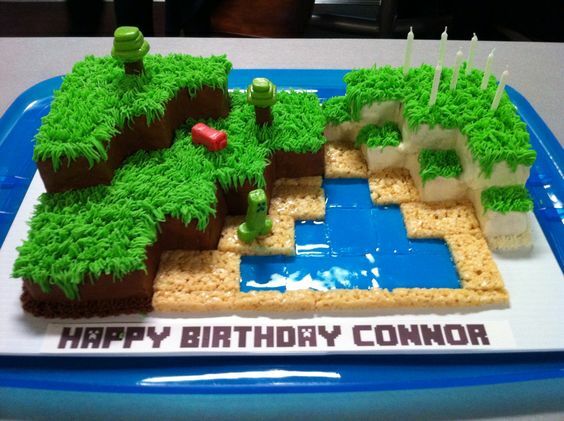 Everything you need to host your own Minecraft birthday party. Good luck with it. And let us know how it goes…we’d love to see your pictures!